Our world has changed: many of the fundamentals that served us so well for so long evolving into new, uncertain and impermanent structures. Technology is one of the most visible manifestations of this change, but the change is much more widespread than that: the underlying sociology and, possibly, psychology has changed too. The notion of ‘a career’ is just a fiction, now owned by individuals rather than the organisations they temporarily work for, social authority subverts formal control and authenticity counts for more than your marketing budget. 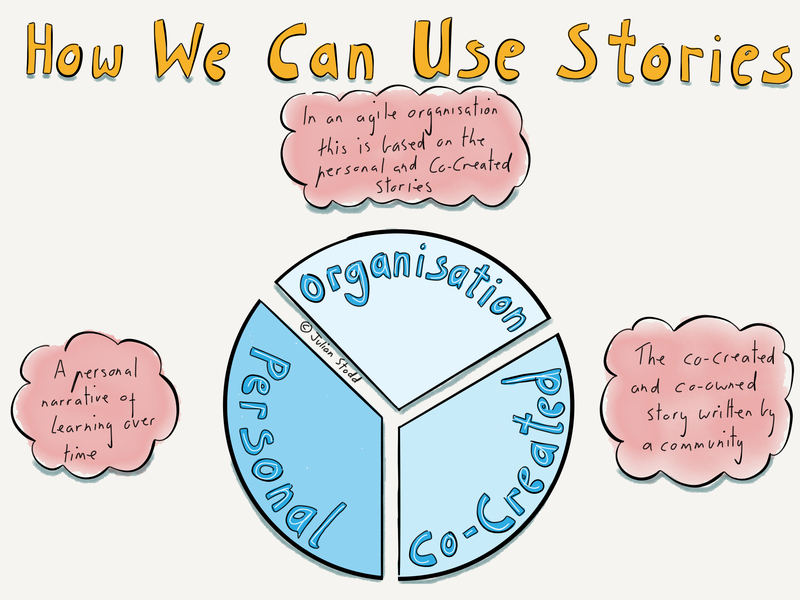 The ‘Broadcast’ model of communication has been trumped by the co-creation of stories that are themselves co-owned. Brand is controlled by the community. And we see new forms of power evolving, facilitated by technology, founded upon reputation, and effective in socially moderated spaces. Welcome to the Social Age. And this is just the start. The point of this article (which i refresh and update regularly) is to provide an overview: a snapshot of the landscape as we see it around us and to start to think about how we can adapt our personal and organisational strategies and working practices to enable us to thrive. What got us here will not get us the rest of the journey: organisations that fail to adapt will lose relevance and momentum. This is the reality of the Social Age: agility and a capability for dynamic change is essential. Why the ‘Social’ Age? Well because it feels to me to be transcendent: we saw the Age of Industry, the Victorian powerhouses that concentrated wealth around manufacture and invention. We saw the Age of Knowledge, where knowledge was concentrated in books, libraries, universities and formal entities of authority, but that is itself being overtaken by the Age of Dissemination, where ‘facts’ are available on demand and we rely on the ‘sense making’ capability of our communities to do something with them. We can talk about the ‘Digital Age’, but for me that represents a mindset of technology, which is only one part of the change. Digital is a technological pressure, but we inhabit the social. Why a map? Maps are abstractions of reality: cartographers survey the landscape, explore new places and capture it all on a chart. But it’s never complete: things change, new spaces are discovered, events change the environment, sometimes deliberately, sometimes through disaster or erosion. It’s a constant process of change. The map captures current understanding, and we can use it to navigate, but it’s not a solution: it’s a picture of the ecosystem we inhabit and the areas we will have to pass through to hope to find our way. Let’s explore this new world in some detail. Social Leadership sits near the middle: the rise of non hierarchical, socially moderated authority. It’s one of the most significant changes in the ecosystems we inhabit for a number of reasons. Firstly, formal and hierarchical authority does not transfer into social spaces, and it’s in the social spaces where much of the ‘sense making’ is done and our reputations are built. So lacking Social Leadership capability disadvantages us as individual leaders and as organisations. And it’s a double hit: first we lack authority, and second, we lack the ability to build that authority and make sense of the new world. It’s high priority for organisations to address this. 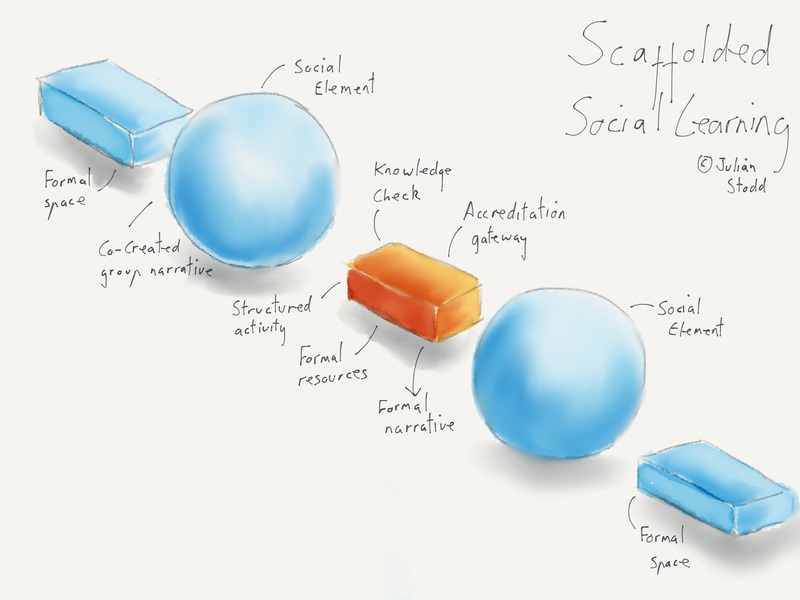 Similarly, Social Learning is about the evolution of learning away from formally defined, time bound and organisationally driven experiences, through to co-created, longer term and more performance outcome based approaches. Or rather, that’s what we should be aiming for: the days of tedious eLearning and lectures are numbered. To be truly Dynamic, an organisation needs to be a learning organisation, with a mindset for learning embedded in everything it does. To which point, we need Socially Collaborative Technology, one of the more visible battlefronts of this revolution. The old systems of power and control are being replaced and eroded by more agile, lightweight and intuitive ones. Often tying into (social) tacit and tribal knowledge. This is at direct odds with the solutions that some vendors are pushing, which are still based on rapid authoring and quantitative analysis of interaction, neither of which thing is necessarily good. Some radical changes in work itself form a backdrop: career has been replaced by a series of jobs, some of which you may be paid for. Ownership of our own long term development now largely sits with us and our immediate community, not with our employer and their career path. The Social Contract, which exchanged our time for money and security, has been torn up. Both these changes lead to a different form of engagement between organisations and individuals: unless we want a relationship that is based on convenience and desperation, we have to earn a relationship that is based on trust and mutual value. Which requires effort on both sides. 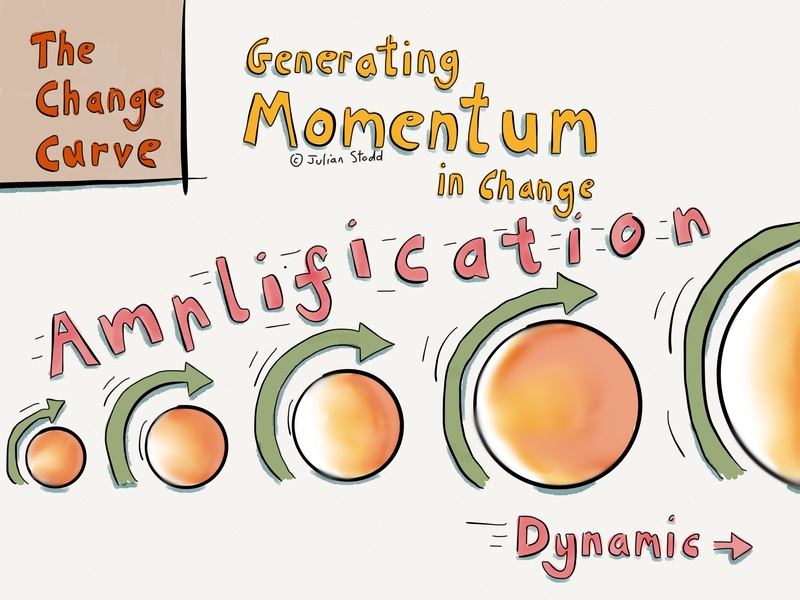 You’ll see that my recent work on the Dynamic change framework has left it’s mark here, as i’ve decided to include it on the map: organisations that cannot surf the waves of change are doomed to ever decreasing relevance and ever increasing lethargy. There is no shortcut to success: just the need to adopt a constant pattern of curiosity and adaptation. Organisations need to wire change into their DNA, so that they do it effortlessly, not whilst gasping for air. 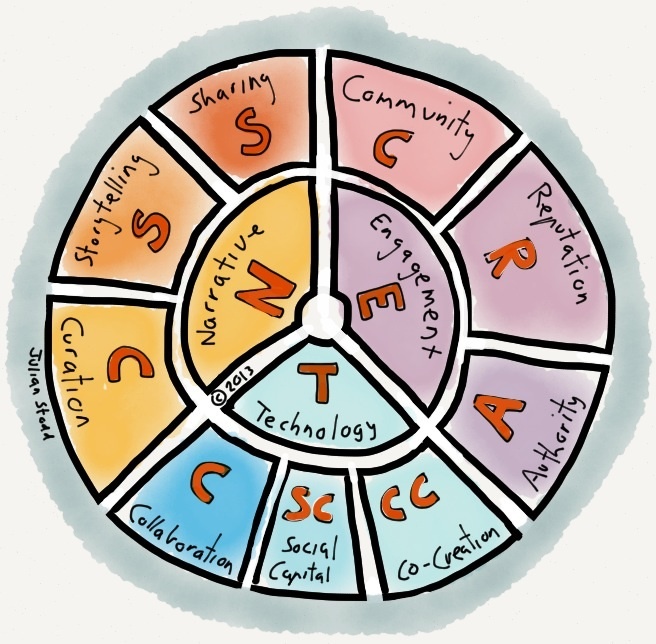 In the Social Age, we live in a remix and co-creative culture, by which the only certainty upon publication is that it’s now out of date: more dynamic ways of working are required, more co-creative storytelling and greater co-ownership of the responsibility and results. Working out loud and sharing our learning as we go. Authenticity erodes marketing and curiosity subverts false stories. Only through authentic engagement and open storytelling can we thrive. On which note, spot the new island in the East: i’ve grouped Fairness, Equality, Humility and Trust together over there, seeing them as core traits of the adapted organisation and effective leader. Taken together, the changes we see around us in the landscape of the Social Age are broad. Some of what we hold to be true still exists, but much has changed, and bear this in mind: failure is often sudden. The difference between ‘poor’ and ‘good’ is wide, but the difference between ‘good’ and ‘excellent’ is vast. And if you aren’t striving for excellence, you’re at risk. I talk about the ‘ecosystem’ of the Social Age, because that’s how i see it: the environment that we live in. And the thing we know for sure is that as the ecosystem changes, we have to adapt if we want to stay fit. Those who fail to adapt become extinct. And thinking about adapting is less useful than actually changing. My own work is to explore, document and share my understanding of this new world, this Social Age. But it’s a co-created effort: don’t like my map, draw your own. And if we both share them, listen to each other with humility and respect, maybe we will draw a new one together. The Social Age is upon us: the choice is simple, adapt or fail. And ask yourself the question, is your organisation fit yet? 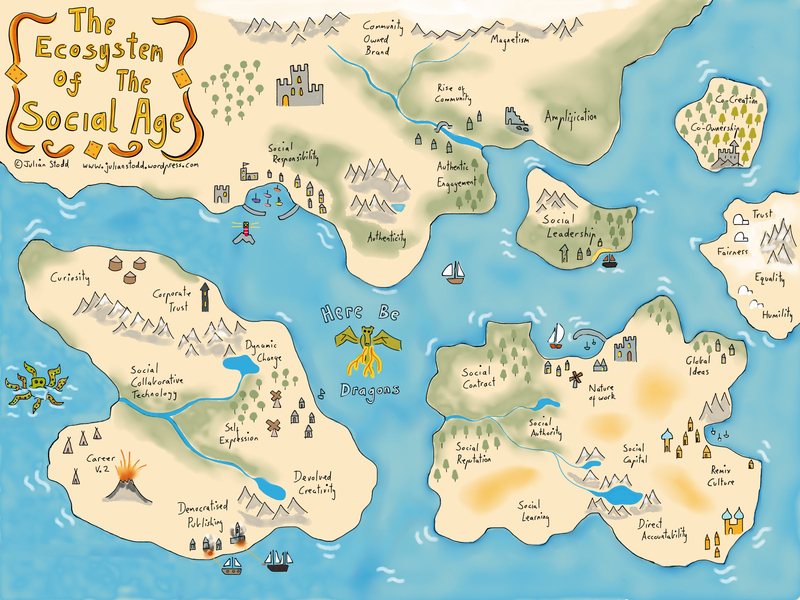 This entry was posted in Social Age and tagged Change, Equality, Fairness, Guide, Leadership, Learning, Learning Technology, Map, Social Age, Social Leadership, Social Learning, Technology, Trust. Bookmark the permalink. Great summary of very relevant topics. A map for moving along these unchartered ways into the future is very helpful.